The Alba Massage Shower Panel System features a contemporary Euro design in high-quality stainless steel. This all-inclusive system provides a rainfall showerhead, brass handheld shower, and massage jets. Bathroom set is made of stainless steel. Comes with a chrome-plated brass hose. Overhead shower and flexible hand shower. 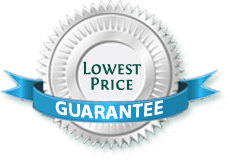 Offer 1-year parts warranty from the date of purchase. Super amazing shower panel with overhead and hand shower. The finish of this shower panel is also great. But that is just it. 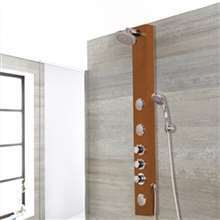 Maybe i over expected much but its just your regular shower panel you will get for the stated purchase price. I saw one negative review about this shower panel, but I still decided to buy it since there were more positive reviews about it. And so far, I think I made a good choice trusting this product. It works well and we've had no problem with is whatsoever since it was installed. After having this shower panel for almost a month now, I can say that all of us here at the house is very pleased with it. We find it enjoyable showering with it, and it has truly improved our showering experience one way or another. I was actually a bit hesitant to buy it because of the price, but I can now say that this was money well-spent. This is the first ever shower panel that I've ever had installed, and so far I'm liking everything about it. First off is the design, which looks really contemporary and sleek. It's just the way I like it to be. Now, about the function, everything works very, very well. I've had this for several weeks now and so far I have no issues with it. I really like the body massage jets the best though, but everything about this shower panel is to love.